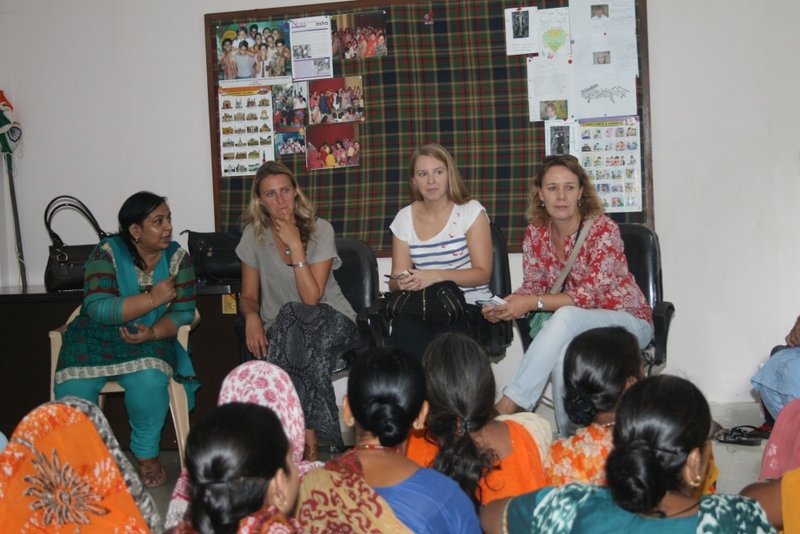 Three members from the Charity Committee of the British High Commission Ms. Karin Lowen, Ms. Eve Platt, Ms. Jen Blackwood visited the Kanak Durga Slum Centre on Tuesday, the 13th of August, 2013. The visitors were oriented to the work of Asha and interacted with the members of Mahila Mandal (Women’s Association), Bal Mandal (Children’s Association) and the college students of Kanak Durga slum colony. Warmly welcomed amidst loud claps and cheers, the visitors and inhabitants exchanged stories and experiences over a two hour session. While the women narrated their journey towards empowerment the college students excitedly shared the accounts of their first days in college. Ganesh, a first year college student pursuing Hindi Honours regaled the guests with an impromptu Kathak dance performance while Bharat sang a classical melody which was aptly appreciated by the audience. 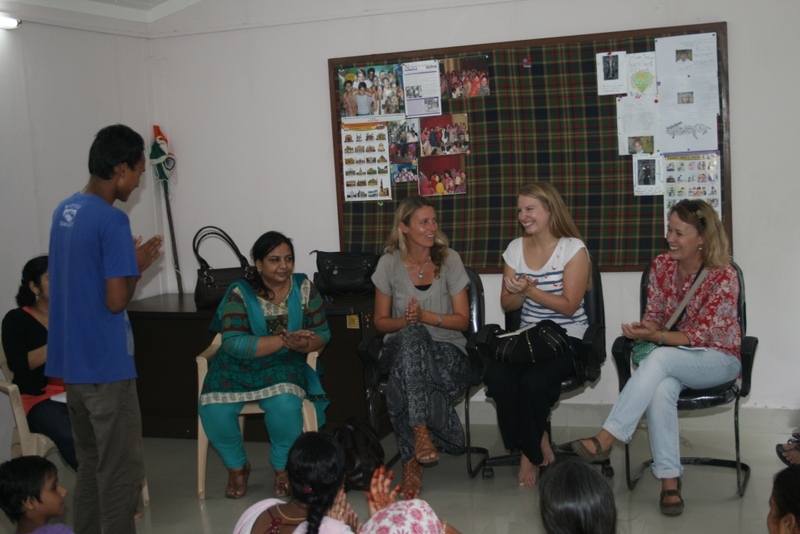 Language did not pose to be a barrier as the guests and the slum dwellers interacted over a freewheeling session. The British High Commission and Asha have had a long association that goes back to more than a decade. Visits such as these cement the relationship even further. We look forward to welcoming more of such enthusiastic visitors amidst us at Asha!